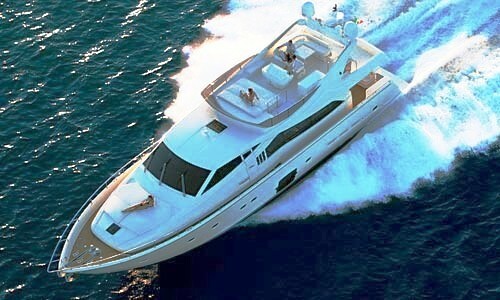 Motor yacht DEBRA ONE is a 2005 Ferretti 731 and embodies the new expression of the Ferretti style. 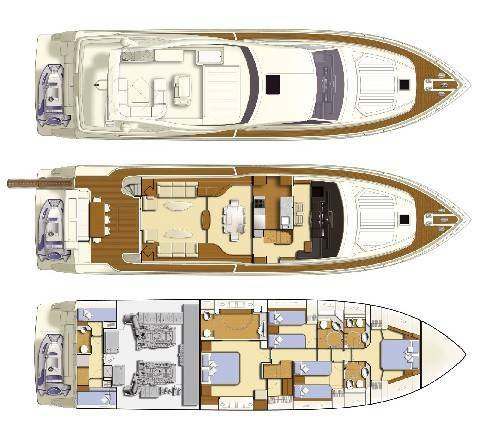 The Ferretti 731, Lady Whist boasts unique symmetric perspective of the space, which is featured in both the interior and the flying-bridge layout. 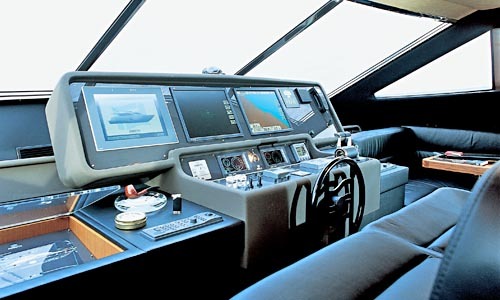 The yacht’s main owner cabin presents the most important innovations of Ferretti in terms of light and space exploitation. It has been positioned lengthwise so it can benefit from a large panoramic window on both sides. This allows an unobstructed view of the sea from each view point inside the boat. 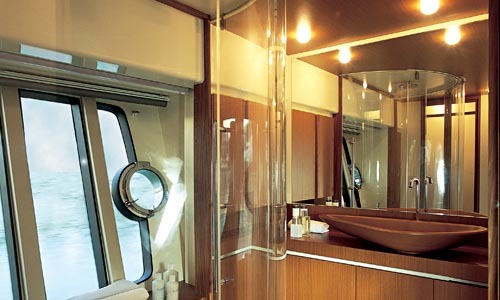 The main cabin also provides a spacious shower, separated from the bathroom by a sliding door. 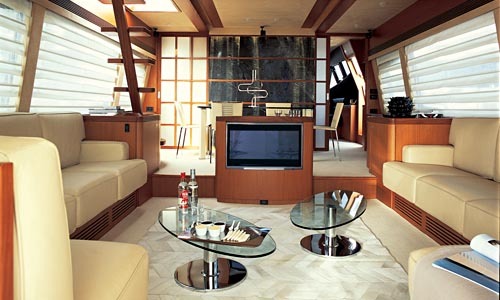 Motor Yacht DEBRA ONE large and comfortable salon incorporates luxurious furnishings in opaque teak. The overall effect in her interior is of space and light. The Ferretti 731 new layout also includes an aft swim platform giving a further outside area to enjoy a yacht charter vacation in the complete tranquility & relaxation. The Ferretti represents a fantastic motor yacht which is ideal for cruising the coasts of the French and Italian Riviera or holding a corporate event in Cannes. Her high speed hull means you can pop across to Corsica in just a couple of hours, for your favorite lobster grill. 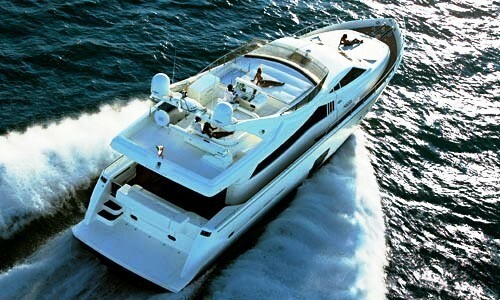 DEBRA ONE has a kind and friendly crew of 3 who will make sure you have the best possible yacht charter experience. 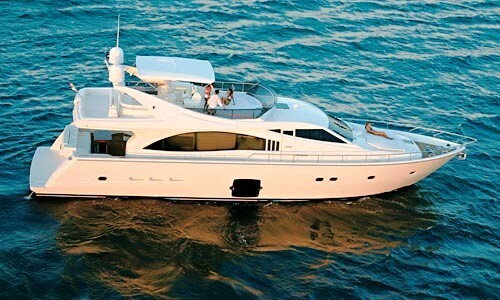 The Ferretti 731 accommodates up to 8 charter guests overnight and will also welcome up to 25 guests for static events, such as the Cannes Film Festival. 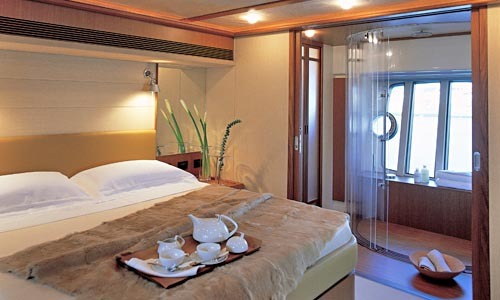 She offers 2 Double cabins and 2 cabins with twin beds. 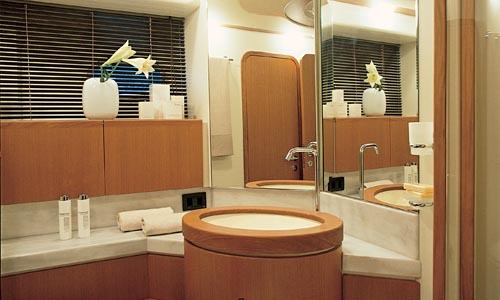 All cabins have ensuite bathrooms with toilet and shower. All cabins are also equipped with CD players.